Producers: David Hannay, Michael Lawrence. Theme: Mario Millo. “People Like Us”. (Mario Millo). Mario Millo. 45(b) (OP)	Wheatley. WBE-929. 1983. Produced by Mario Millo. Engineered by Christo. 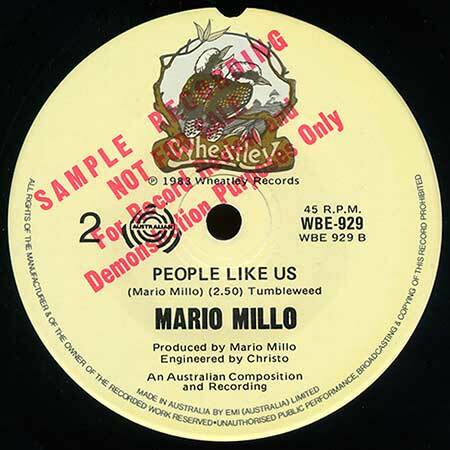 “People Like Us”. (2:50). (Mario Millo). (Tumbleweed). Mario Millo.